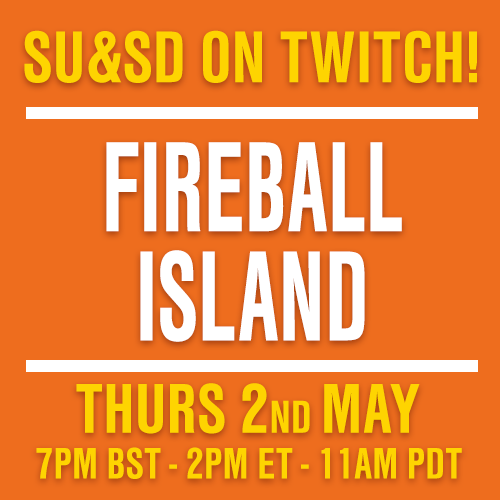 [A feature we’ve always dreamed of providing is actual board game journalism. What might that look like? Step forward Mark Wallace, board gamer, author and contributor to Wired and the New York Times. We let him off his news-leash to cover the economics of licensed board games. Are they good for the hobby, or crowding out our shelves? Tabletop gaming may be touching new heights of innovation and engagement, but the industry is at pains to appeal to new customers. While bigger “independent” publishers like Fantasy Flight Games can make a strong showing of it, there are dozens more smaller publishers whose owner-managers must hold down day jobs while struggling to produce great games — games that are often ignored by retail outlets. 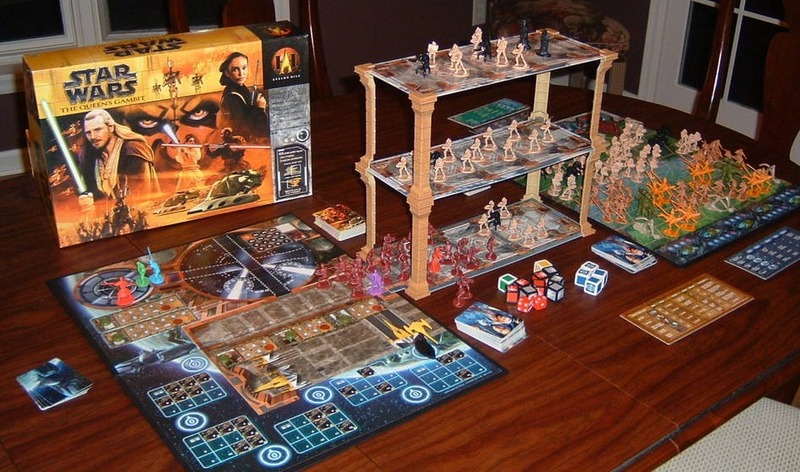 In many stores, it can almost seem that tabletop board games are solely represented by TV and movie spinoffs. Even if they’re lucky enough to find a well-stocked local game store, the potential audience for boardgames is at pains to tell one startlingly expensive game from another. And having been weaned on Candyland, Sorry, and the Game of Life, they are startled again at the different kind of effort that’s required to learn and play — much less enjoy — many contemporary games. To top it all off, most Americans still do their new-game discovery (if they do it at all) at the lumbering cruise ships of retail, places like Target, Walmart, and Toys ‘R’ Us, chain stores that would be happy to carry new or unknown games — so long as those games are old and/or known enough to be assured of significant sales. One tactic publishers turn to to get their games on store shelves is licensed games, creating the boardgame version of a popular entertainment property from another medium — a television show, comic, movie, or anything else under the sun. Hobbyist gamers may turn up their noses, but for the uninitiated, licenses can provide important guidance. But stand in Target and you see a different set of words. 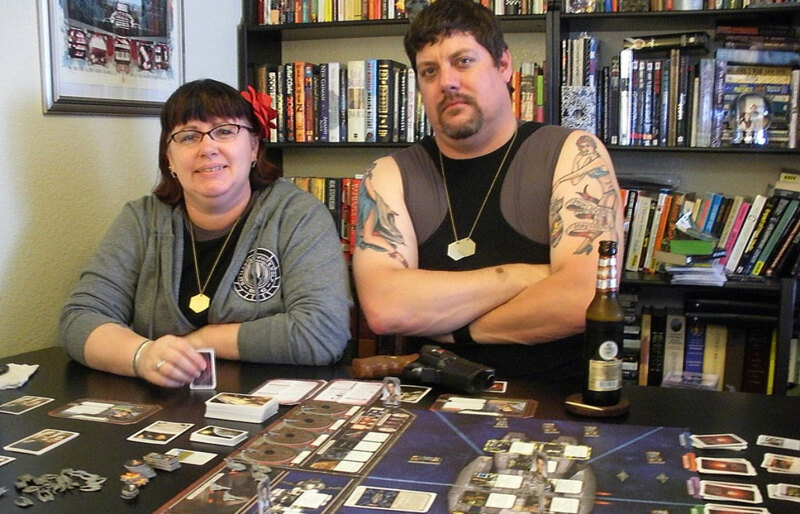 Words like Hobbit and X-Wing, Warcraft and LEGO, Battlestar and Galactica. Now these words, you think to yourself, these words are words I can buy. Or maybe you don’t think that. Who would, really? Stupid thing to write. Never mind. The fact remains, though, that it’s words like those that drive purchasing decisions every day in a hobby that has trouble reaching a mass market with any but a handful of products. And maybe this is a problem. Or maybe not. It’s just past dawn on a glorious new day for board games, but the streets are already quite crowded, and without a social and marketing ecosystem like the one that exists for electronic gaming, it can be exceedingly difficult for great tabletop experiences to stand out. For insight into the world of licensed games, we turned to Cory Jones, president of publisher Cryptozoic Entertainment, which has been navigating the tension between original and licensed IP since the company launched three years ago. Co-founded by Jones and three former execs from trading-card publisher Upper Deck, Cryptozoic has published board and card games based on at least 10 popular licenses, ranging from the World of Warcraft Trading Card Game to Batman, Superman, a Lord of the Rings deck-building game, and a board and card game both based on the popular comic-turned-TV-series The Walking Dead. The company will come out with a second Walking Dead game this summer, and is also planning a board game based on the Assassin’s Creed series of video games. Cryptozoic has used that opportunity well. 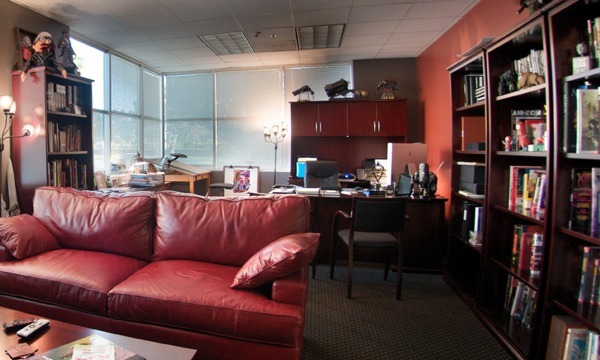 The company’s biggest seller is the World of Warcraft TCG — which Jones created during his own tenure at Upper Deck, before moving to Blizzard as Director of Global Business Development and Licensing. 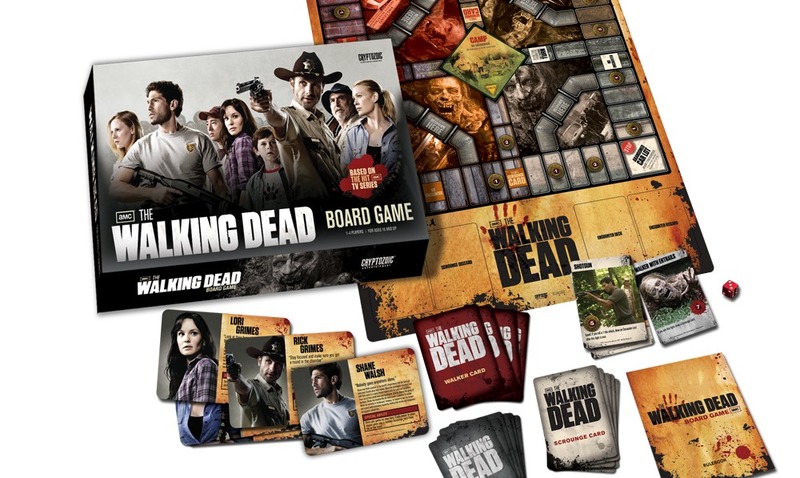 Among board games, the company’s biggest seller is The Walking Dead — which bears Jones’s design credit and has sold more than 100,000 copies. But while licensed games may have a distinct marketing advantage, the trend is not driven only by publishers’ desires to make an easy sale based on a popular brand. Licensed games makes sense to license-holders as well. In fact, brands like boardgames for many of the same reasons we do: at their best, they’re deeply tactile and engaging, creating fun and meaningful experiences that are shared with friends. It’s the “shared with friends” bit that brands are focused on. “Boardgames fill a unique role,” says Jones. 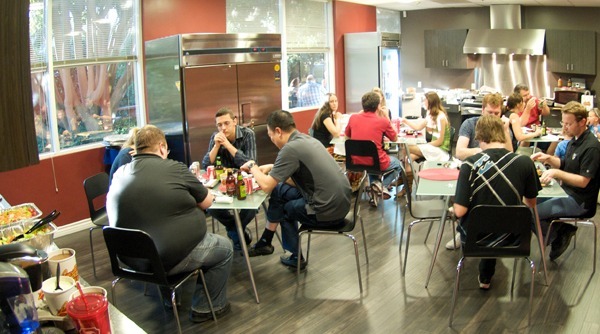 “There are not many products you’re going to buy and invite some people over to experience with you.” The hope is that fans of the property buy the game, and in playing it with friends create new fans. 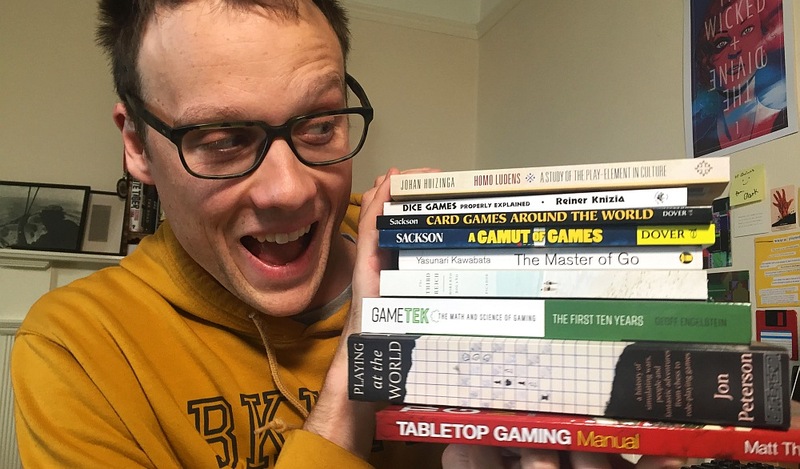 “Boardgames can be one of the most unique products in terms of brand ambassadorship and IP expansion,” as Jones puts it. For all that Cryptozoic may appear to be be license-mad, though, the company also aspires to create great original games: “Look at Small World, Ticket to Ride, Agricola, Settlers — these games have sold millions of units. Our goal too is to find our great game too, and we’re continuing to attempt that,” Jones says. 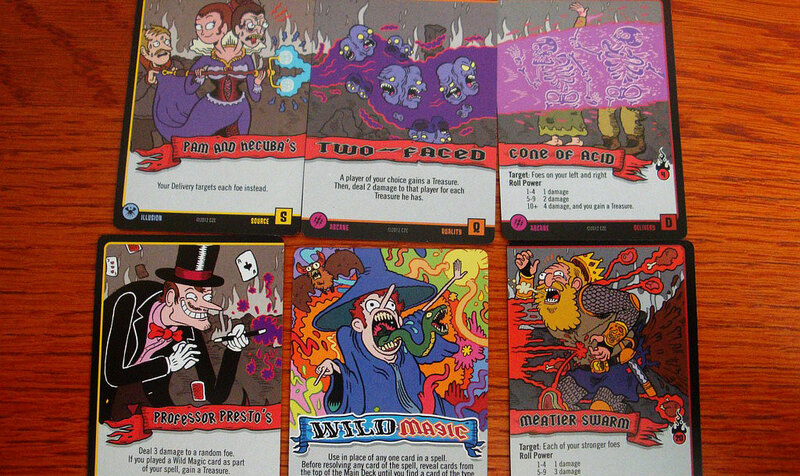 Those attempts have taken the form of a handful of board and card games, most notably the Hot Rod Creeps bizarro racing combat game, and Epic Spell Wars of the Battle Wizards (also a bit bizarro), both of which rely on interesting card-combo mechanics and an art style somewhere between the Garbage Pail Kids and an album cover from The Cramps. 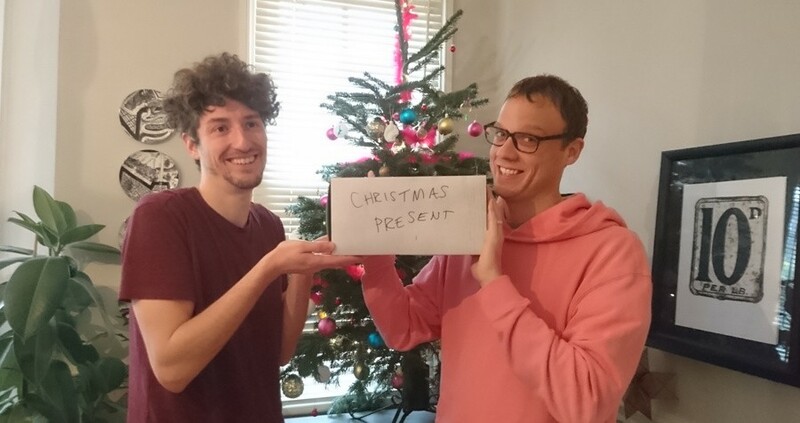 (Remember them? No? Bah. That’s what I get for being old.) Both have gotten good marks from reviewers, and both have done well for the company, Jones says, with Battle Wizards going into a second printing. 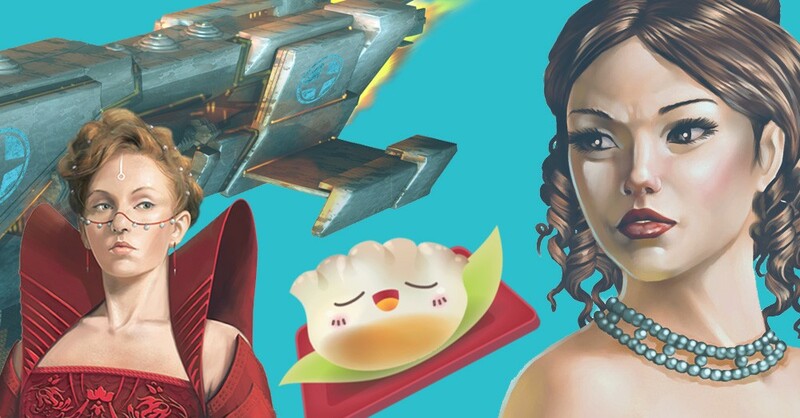 A popular license helps a game stand out from the crowd. But there’s still the question of quality. A licensed game is only a gateway if it inspires its players to buy more games — and so many licensed games do not. The Walking Dead hits that mark, but in doing so may find it hard to satisfy either end of the spectrum. It’s not deep enough for strategy geeks, but it’s not clear and simple enough for those new to the hobby either. While the trappings of the show are well represented, a lot of the nuance and menace seem to have been sacrificed in favor of broader appeal. While you can’t fault the game for its level of sales, Cryptozoic might have produced a better game qua game by targeting one end of the spectrum or the other. And with licenses, that’s possible. It’s rare for a license-holder to grant an exclusive license to a publisher; hence the multiple Firefly games that are due out this year, or the raft of games that have been published based on the Lord of the Rings books. As Jones explains, license-holders will often grant licenses based on age range (granting one license for ages 6-11, for example, and another for 12 and up), or based on a thinner slice of the market (strategy vs. party games, for example). At the other end of the spectrum are the publishers who secure a license and then go about finding an existing game to reskin under the brand. Cryptozoic has had this experience too: their Big Bang Theory party game is a near clone of goofy analogy-builder Apples to Apples, even down to the wording of some of the rules. The Big Bang Theory theme is well applied, but it’s still a clone. This hasn’t stopped it from selling well to its audience, of course (to the tune of three 20,000-unit printings so far), though one wonders whether that particular audience isn’t geeky enough to support a deeper game as well. 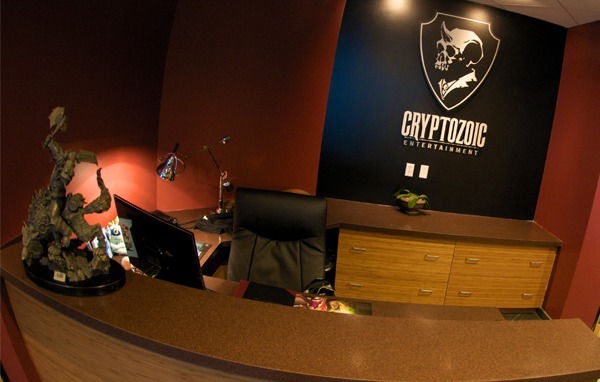 Cryptozoic wants to be what Jones calls “the good home” for licensed products. “From the beginning, we have tried to create licensed products that live up to the quality and passion of the original IP,” he says. Like any publisher, its track record is mixed, but at its best, Cryptozoic shows off the potential for licensed boardgames to both grow the hobby and support brands behind the games. Licensed boardgames are here to stay. Their potential is great, but they too often disappoint. If they can do their part to grow the hobby and create new buyers for original games from publishers large and small, perhaps it’s worth giving up a few feet of shelf space to the latest company looking to cash in on the perennial popularity of the Lord of the Rings. Perhaps.